In honor of games' growing influence on contemporary Chinese vernacular, here are 5 translated phrases to Second Kill your English vocab. A few years ago, my mom called to ask for my advice on webcams. She explained (in the English-peppered Chinese that's the official language of our Chinese-American household) that some of her friends had started sharing videos of themselves singing karaoke. She thought she could do better. "我想给她们PK一下," she remarked: "I want to PK them a little." Ethnographer and organizational designer Christina Xu is telling the stories of young creative people in China. You can support her work by pledging to Multi Entry on Kickstarter—the campaign ends today! The term "PK" (or "Player Kill") is often used in games like World of Warcraft to describe destroying or killing an online opponent. Although my mom had never played an online role-playing game in her life, the word had somehow made its way into her vocabulary. My mom’s casual familiarity with gaming terminology is just one indicator of the enormous influence that gaming has on contemporary Chinese culture, especially the growing part of it that is created on—or at least distributed by—the Internet. This permeation is particularly remarkable considering how fast the gaming industry and market have had to grow in China to catch up. When my family left China in 1995, Sony had just released the PlayStation in Japan, but the most common gaming systems in China were still 8-bit Nintendo-knockoffs like the Subor and the Dendy: a technology gap of more than ten years. 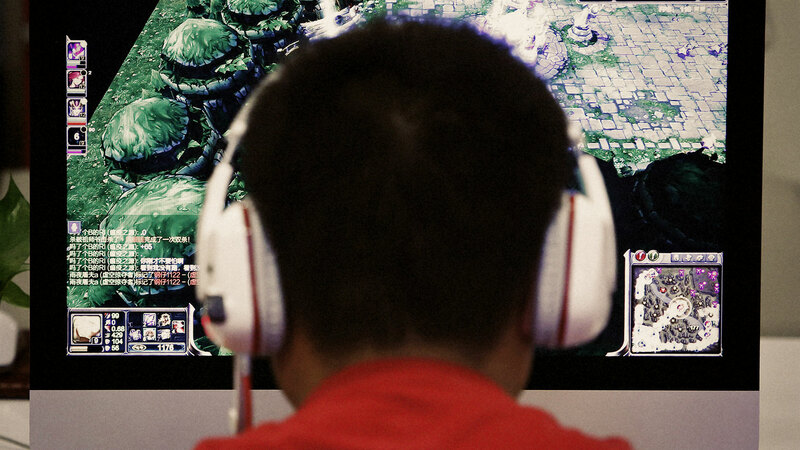 Two decades later, the Chinese gaming market is a behemoth, with an estimated 517 million gamers worth at least $22 billion and growing. The immediately obvious difference from its counterpart in the US is the insignificance of consoles like the various Playstations, Xboxes and Wiis; they were banned entirely from 2000 to 2014, and the last restrictions on their local manufacturing were lifted only a few weeks ago. Instead, massively-multiplayer role playing games (MMORPG) and multiplayer online battle arenas (MOBA) played on PCs dominate the industry. It’s no surprise, then, that "PK" is not alone, and that in-game lingo around PC titles like League of Legends (英雄联盟) and Defense of The Ancients has often made its way into common parlance. Over the next two months, I'm going to be traveling throughout China for Multi Entry, a Kickstarter-funded multimedia project devoted to telling stories about modern Chinese culture that are centered on the experiences of young Chinese fans and creators of fashion, music, design, and of course, games. As I prepare for my trip, I've been thinking more about how the influence of games has spread in modern China, and how that's been reflected by the words that cross over from gaming subcultures into the mainstream lexicon. A few of my favorite examples follow; each term is presented as a literal translation, followed by its simplified Chinese form and its pinyin (a system for romanizing the pronunciation and tone of Chinese words). "Blood trough is running empty"
血槽 was once the word for the blood groove or fuller on a knife. In the era of fighting games and MMORPGs, it became the name for a player's health bar, that ubiquitous indicator of how much health you have left in a game. 血槽空了 is a common warning in games, alerting players that they’re low on health; they may then ask their teammates for a 补血, or a heal ("restore blood"). 开挂 or 开外挂 is the act of running an illegal plug-in on a game, either for practical usability purposes (translating an interface into Chinese) or to cheat (faking in-game presence to accumulate more virtual currency, or even packet modification to make a character move faster in an online game). Outside of gaming, it has become an expression of disbelief, as well as an adjective to mean exaggerated or enhanced. In English, you might say that a particularly beautiful sunset looks Photoshopped; in Chinese, you’d say it was running an illegal game plug-in. Counter-Strike, a hugely popular first-person shooter that started off as a mod of Half-Life, debuted in the US in 1999. It found its way to China not long afterwards and became immensely popular at internet cafes, which then functioned naturally as always-on LAN parties. At around the same time, recreational sports like paintball, laser tag, and a painful-sounding BB gun variant were just starting to take off in China. Lacking an easy explanation for the appeal of these new hobbies, their proponents decided to latch on to the exploding popularity of Counter-Strike and refer to all three simply as “Live-action Counter-Strike.” The name stuck: here it is listed amidst other “rest and recreation” activities on Dianping, the most popular Chinese review app. In MMORPGs, "second-kill" is the act of instantaneously defeating an enemy through overwhelming force in online MMORPGs. But around 2009, e-commerce vendors adopted the term to describe a type of flash sale where a small number of items are dramatically reduced in price and then snatched up in an instant. It’s now an activity taken so seriously by its practitioners (“0.01 seconds can be the difference between success and failure,” warns the start of one tutorial) that it may as well be reclassified as an eSport. The term is now so popular, people often abbreviate it to just 秒, used as a verb. Originally a term that meant respawn—an action in in an online game where the player’s character is resurrected and restored to full health, the phrase is now used to mean “recover” in a general sense. Remember the adorable, giant inflatable duck in Hong Kong that deflated in Victoria Harbor? Chinese newspapers celebrated its “full blood resurrection” when it was restored to its happy, floating self.